HOT Yellow Nails for Summer. One of the biggest trends for summer is bright neon colors. I can easily say that I am completely obsessed with neons and try to accessorize my outfits everyday to include this trend. What easier way to do this then with your nails?! I went with a bright neon yellow nail color last week, and I'm in love with it. 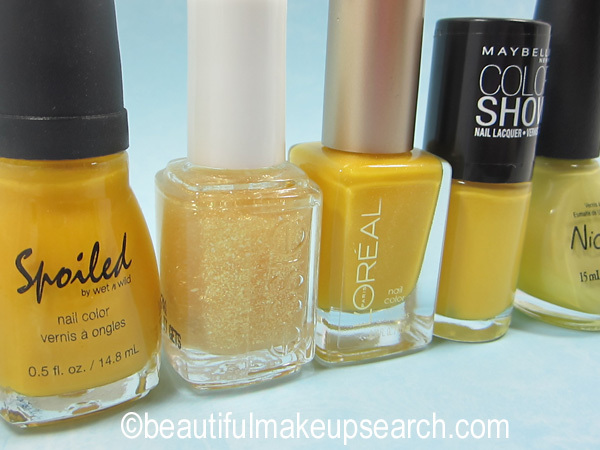 The yellow I choose brightens up all my outfits, and it's perfect for summer. I recommend this to anyone who is looking to follow the neon trend. The yellow goes perfect with everything, including my iPhone! It just adds that perfect summer touch. 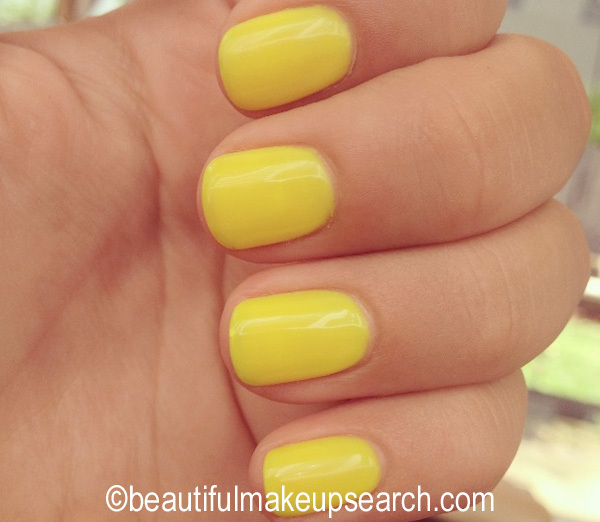 Here are some suggestions of yellow nail colors that are perfect and on trend for the summer. Trying to find some inspiration for my nails for July 4th this week, I did a little search for just that: Patriotic Nails on Pinterest. Look at some of the red, white and blue designs I found. When looking for things like this, Pinterest is much better than google, don't you think? Luckily, I won't have to get all that creative because I am heading to Walmart to look for these Nail Rock Designer Nail Wraps. For just $5.97, you get 16 wraps, a nail prep wipe, a file and cuticle stick. Too fun! Have you tried these yet? If I find them I will be sure to update with pictures! My 5 Favorite Nail Colors for Spring. I change my nail polish just about as many times as I change my clothes. Not only am I fickle, there is an infinite amount of nail colors to choose from that I like to try them all. My favorite brand is probably OPI, and Sephora by OPI. They last a long time (when I let them), dry in a reasonable amount of time and are always current and on trend. These are my five favorite nail colors for spring. Sparkle Me Silver is an amazing finishing touch for all your OPI spring must haves. To use this brilliant top coat you can apply to bare nails for a sheer effect or use it to embellish your perfect nail color. I love this Nail polish because it adds shimmer and shine to all colors and gives your color that unique touch its been waiting for. Teal We Meet Again is a dramatic color that illuminates just as the sun shines down on the carbine sea. This blue-green color is a must have for summer for when the sun shines, it reveals a shimmer glow that is hard to resist. I love this gorgeous color especially for my toes and it acts as the perfect accessory to every outfit. I Think In Pink and I Think I Love This Pop of Pink is an innocent color that captures the sensational lighter shade of pink. This polish is perfect for spring and truly defines the universal color that is pink. My favorite color is pink and this polish truly shows why I love it so much. Its a fun and flirty color that should be on everyone's list for spring. This is a beautiful shimmer pink lilac shade with glints of mint in it. Wow - it is an amazing nail color! It brightens your whole wardrobe and gives your look just what it needs to sparkle. The hint of green goes hand and hand with the lilac color and simply is a match made in heaven color combination. I would definitely use this color for the spring, summer, and any special occasion. Do we share any favorites?